Fear that gun laws will never change is one of the most dispiriting narratives that emerges after every mass shooting in America. But a few bipartisan strides on the local level are giving people hope. Salon reports that activists focusing on the connection between domestic abuse and acts of gun violence have become a focal point of legislative change, with surprising results. According to WBALTV, a rally held on Tuesday in Annapolis, Maryland, actually won some Second Amendment Rights activists to the other side. The rally was hosted by Moms Demand Action for Gun Sense, an organization that considers itself “pro-gun safety.” The testimony from women who had been subjected to domestic abuse, explaining how their partners having guns became a part of that violence, moved the hearts and minds of the NRA advocates present. “We support the moms in this. We are all against domestic abusers. We believe they’re criminals. 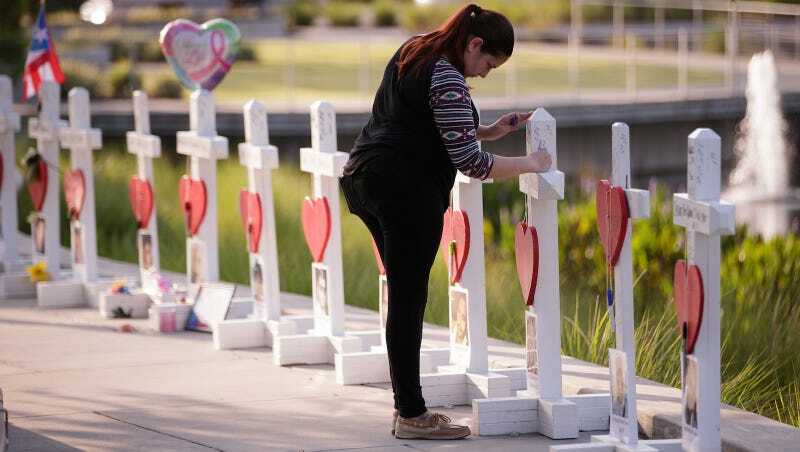 They shouldn’t have handguns, or guns of any kind,” said one Second Amendment right’s activist. In Maryland, the rally was held in support of legislation that would close a loophole that allows people convicted of domestic abuse to keep their guns; they are currently only barred from buying more. The new law, expected to be introduced within a few weeks, would require offenders to turn in their guns, and force them to present a receipt in court after handing them into either the police department or licensed gun dealer. Though federal law already prohibits domestic abuse offenders from purchasing guns, it is on the local level that implementation fails or succeeds. Salon reports that a Maryland organization called Court Watch Montgomery observed 126 court cases in which the offender was supposed to be told to turn in their guns, by law. Only one was informed to do so. These are the sorts of changes Moms Demand Action and organizations like them are seeking to make. You can read more about the work people are doing to fight gun violence on the local level here.